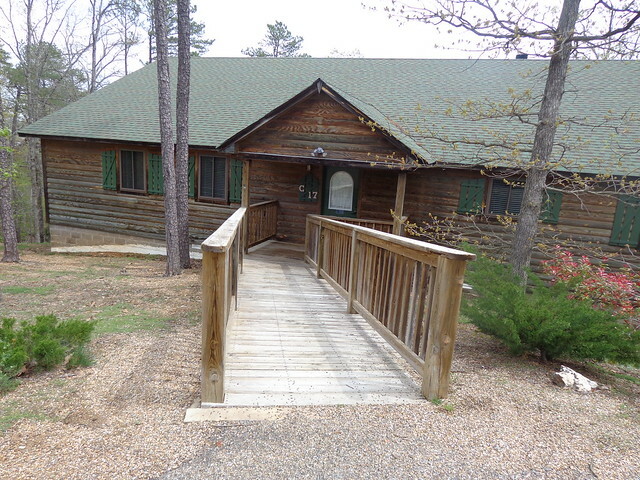 Harbor North is our village of Arkansas cabins, our premier lake resort venue. All feature our signature interiors with an eclectic blend of antiques and contemporary furnishings. You’ll find fully equipped kitchens, a washer and dryer, spacious decks (most with lake views) with a hot tub, and wood burning, native stone or tile fireplaces. 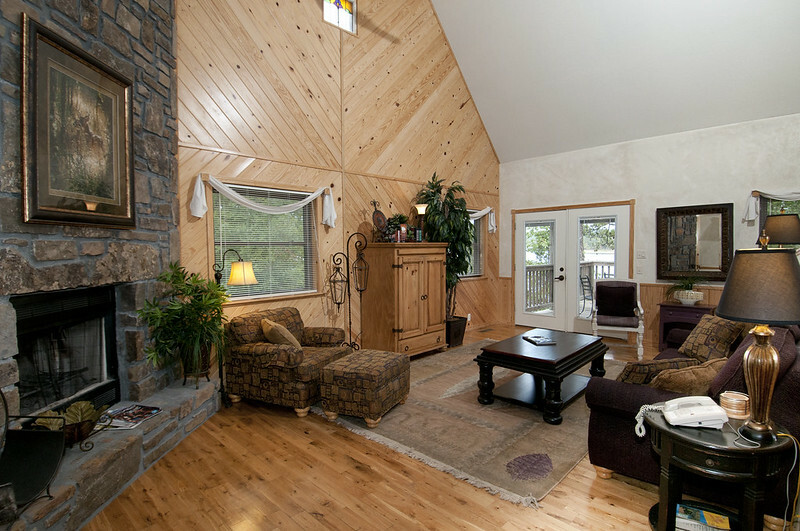 Each cottage does have wireless internet access. These unforgettable cottages are pet-friendly units for an additional pet fee and are non-smoking facilities. Units shown are specific units which can be rented and only represent the units pictured. Each is unique by its furnishings, view and bedding. While many of our units, such as our guest rooms and Lodge cottages and our condominiums (many of which have steep stairs due to the terrain) were built back in the 60's, 70's and 80's, in 1the 90's Mountain Harbor began incorporating ADA compliant design and function into all of our new construction, including the beautiful new Harbor North cottages. Our new Harbor North cottages feature accessible ramps, ADA compliant door knobs and plumbing fixtures, roll in shower, grab bars, lowered vanity and lowered light switches and as many ADA complaint fixtures and features as we could work into our rental design. Please contact us if you have any special needs and let us know how we can best serve you! Rates are per night and Arkansas lodging tax is an additional 9 1/2%. Off season rates apply Jan thru Feb and the day after Labor Day through December. Weekend rates apply Memorial Weekend through Labor Day weekend. Regular rate applies Mar - August through the week, exluding weekends. Holiday rates apply to all holidays and through the week over the Fourth of July holiday. Extra person fees and other charges may also apply. Our closest Harbor North cottages to the lake. Two bedroom, two bath. King in the downstairs master; queen in the upstairs loft. ADA accessible except for C10. Free wireless. Rates based on 4 persons. Please add $10 per person for add'l guests over 4. Inviting forest views. Two bedroom, two bath. King in the downstairs master; queen in the upstairs loft. ADA accessible. Free wireless. 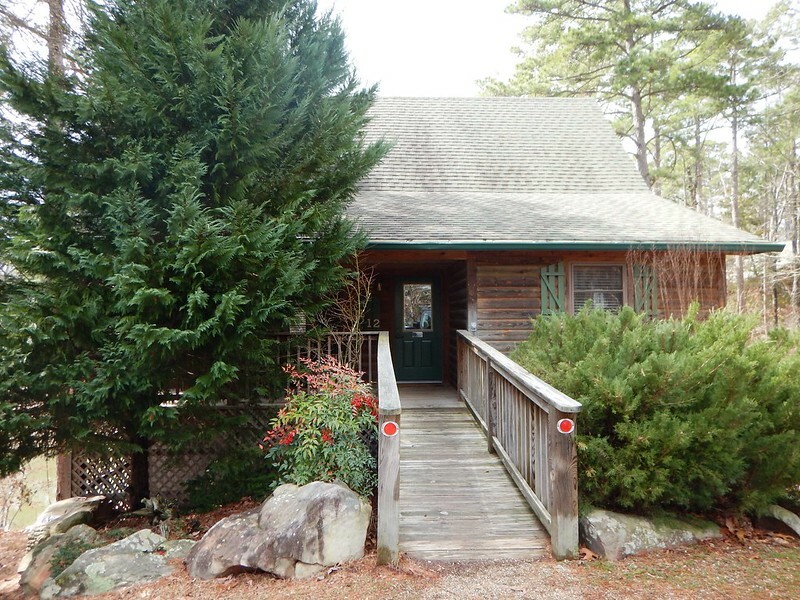 C23 is our largest two bedroom, two bath Harbor North Cottage with a spacious King master, oversized deck with hot tub, two queens in the guest bedroom and our most spacious living area for our two bedroom floor plan. With a charming marina view, this unique unit features steps off the back deck leading down to the lake's edge. Free wireless. Lake vistas (overlooking the roofs of the lower cottages). Two bedroom, two bath. Two queen beds in each of the spacious bedrooms. Ask for C8 or C9. ADA accessible. Free wireless. Beautiful lake views. Two bedroom, two bath. Two queen beds in each of the spacious bedrooms. C15 and C16 are duplex cottages and C14 is a single cottage. ADA accessible. Free wireless. Rates based on 4 persons. Please add $10 per person for add'l guests over 4 in the party. Our three bedroom, three bath cottages feature a king in the master and two queens in each of the other guest rooms. 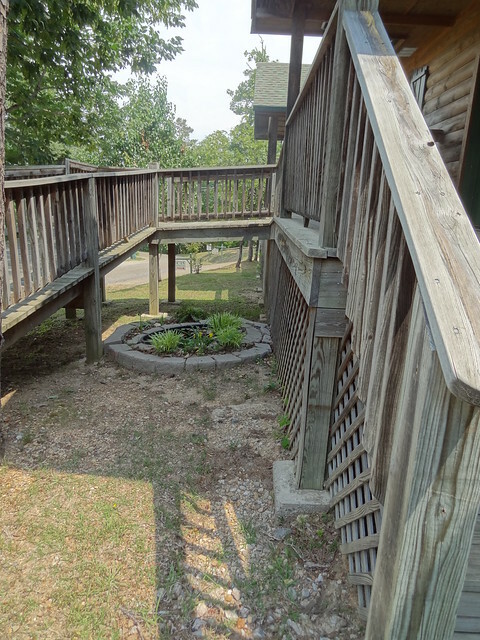 Ask for C7 with a charming lake vista over the roofs of the lower cottages, or for a more intimate view of the lake with larger decks and living area, ask for C17. ADA accessible. Free wireless. C18 is our closest unit to the lake to date! 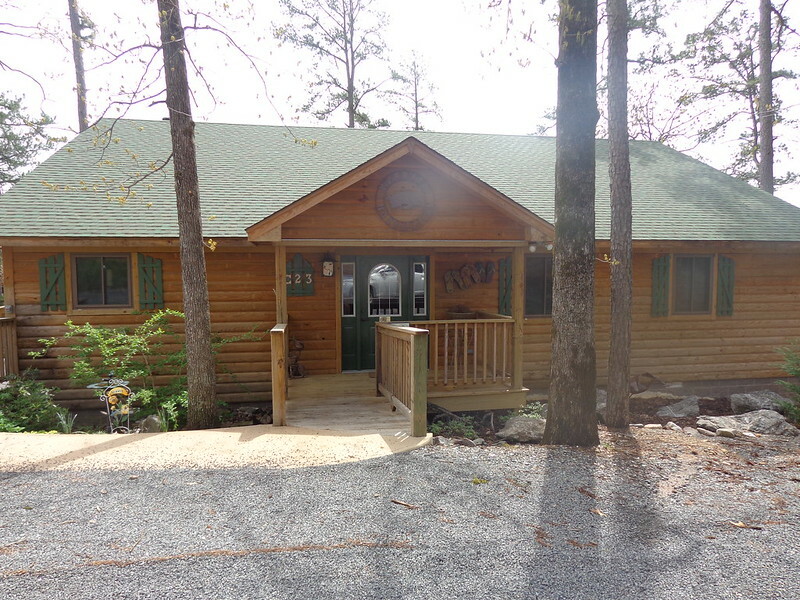 Two bedroom, two bath with our most awesome lake view! Fully equipped kitchen, native stone or tile fireplace, washer and dryer. One king in master, queen in upstairs loft bedroom and queen sleeper sofa in living area. Two TVs, VCR/DVD. Ask for C18. ADA accessible. Free wireless. Perfect for honeymoons, anniversaries or just the outrageously romantic impulse, this secluded one bedroom, one bath cottage has a native stone or tile fireplace, indoor Jacuzzi in the luxuriously appointed living room, outdoor hot tub on the deck, a romantic king canopy bed, fully equipped kitchen and many special and unique touches to make your special occasion romantic and memorable. TV, VCR/DVD and stereo. Free wireless. Ask for C19. Rates based on 2 persons. Please add $10 per person for add'l guests over 2 adults in the party. 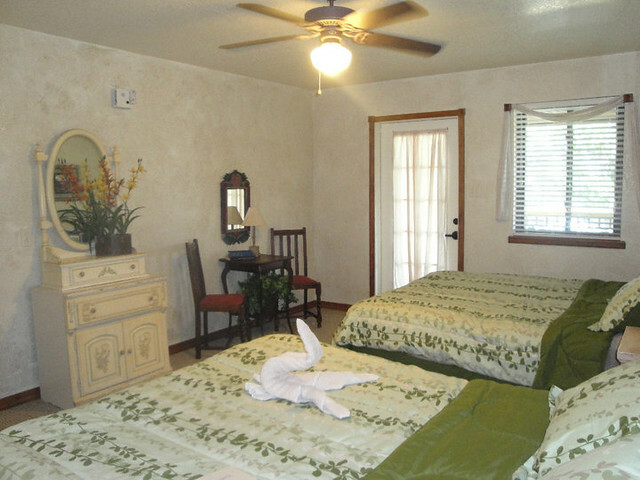 Our three bedroom, three bath cottages feature a king in the master and two queens in each of the other guest rooms. Ask for C20,C21,C22 or C24. ADA accessible. Fully equipped kitchen, spacious great room - our largest units! Beautifully appointed. Hot tub on deck. C21, our newest cottage has beautiful granite countertops, hickory custom cabinetry, maple floors and other luxury touches such as glass vessel sinks. C22 is our Daisy Cottage with our most stunning lake view. C24 has a unique marina veiw with steps off the back deck to a private peninsula with firepit and picnic table. ; C20 has a shaded cove off the back deck. Free wireless.